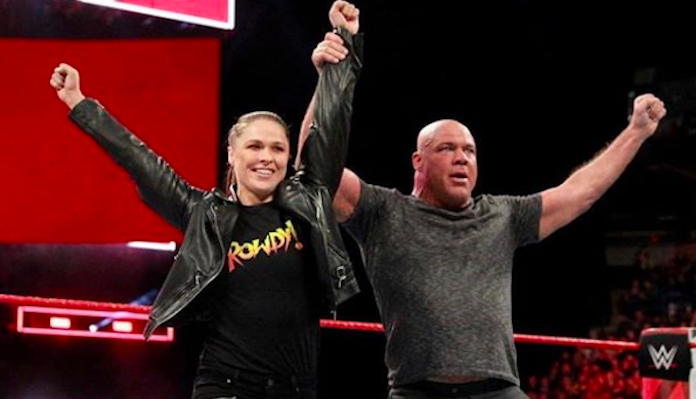 Ronda Rousey is now firmly embedded as a member of the WWE roster. That said, she never officially retired from MMA, which has given her fans hope that, perhaps one day, she will return to the cage. During an appearance on The Ellen Show this week, however, Rousey updated on her future in MMA, and it didn’t sound promising. Instead, she said a return to MMA is about as likely as a return to the Olympics, where she once medalled in judo. 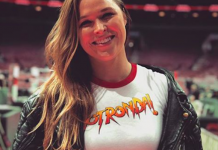 For the moment, Rousey seems to be very happy with her life as a pro wrestler, which will come to a head when she participates in WrestleMania 43 this April 8. 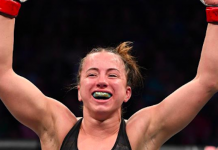 After kickstarting her MMA career with perfect 12-0 run, during which she stopped names like Julia Budd, Sarah Kaufmann, Miesha Tate (twice), Liz Carmouche, Sara McMann, Alexis Davis, Cat Zingano, and Bethe Correia, Rousey lost her two most recent bouts decisively. The first of these losses was the result of a Holly Holm head kick. The second came courtesy of reigning UFC women’s bantamweight champ Amanda Nunes, who brutalized her with a storm of first-round punches. What do you think the future holds for Ronda Rousey? This article first appeared on BJPenn.com on 3/13/2018.